Where to try a British pie in Edinburgh? It is a well-known fact that British people love pies. Not to be confused with American-style pies which are mostly sweet, the ultimate British comfort food is a delicious, golden pastry wrapped around a succulent, meaty filling. 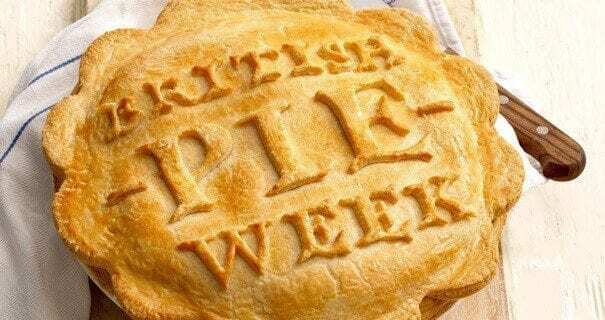 We love pies so much that last week we celebrated British Pie week. Watch our last video to find out where to do to taste some delicious pies. A popular place in the city centre offering over 30 different meat, vegetarian and sweet pies. The Ghillie Dhu’s Ceilidh dances hold a regular spot on our social programme and their bar menu includes a great selection of pies. A great venue for a sit-down dinner or lunch, The Dogs’ menu often includes creative meat or vegetable pies. This bakery offers a great selection of pies and opens very early in the morning. Sadly there isn’t a Stephen’s Bakery shop in Edinburgh (the nearest one is in Dunfermline!) but luckily you can still get your hands on one of their delicious pies at most Scotmid and Co-Op supermarkets around the city!